Commercial banks have joined the year-end competition for savings by raising interest rates for medium and long-term financial products, such as three-year certificates of deposit and three-year fixed term deposits. Offering a higher rate of return than a standard savings account, a certificate of deposit, or CD, is a financial product issued by banks to investors who purchase them to earn interest on their investment for a fixed period of time. At a branch of Bank of Beijing Co Ltd, a listed city commercial bank, the rate of three-year CDs worth 200,000 yuan ($28,975) was 4 percent on Tuesday, about 45 percent higher than the Chinese central bank's benchmark three-year fixed-term deposit rate, according to an account manager. Large commercial banks also increased their medium-term borrowing rates. A branch of Bank of China Ltd, the country's fourth largest State-owned commercial lender by assets, offered three-year CDs with a denomination of 200,000 yuan at an interest rate of 3.85 percent. Its three-year fixed-term interest rate was 3.575 percent on Tuesday, compared with the benchmark rate of 2.75 percent. According to Rong360.com, a Chinese provider of search, recommendation and application services for financial products, the average interest rate of CDs for 35 banks monitored by the company increased slightly in November from the previous month. Yang Huimin, a financial analyst at the 360 Big Data Research Institute of Rong360.com, said ordinary deposits are still a major product for competition among banks on the liabilities side, as interbank business is shrinking and the interbank liabilities are rising. Compared with large national commercial banks, small and medium-sized banks are under a higher level of stress to compete for deposits because they have a limited number of branches and less credibility, Yang said. In addition, small and medium-sized banks are also forced to turn to deposits as their interbank liabilities have declined sharply due to regulatory tightening on the interbank business, analysts said. Zhang Xingrong, managing director of the Institute of International Finance at Bank of China Ltd, said three major factors have contributed to the heightened competition for deposits through interest rates. First, the money supply is not as abundant this year as in the past few years due in part to the fall in China's foreign trade. Second, banks are under the pressure of year-end performance reviews. Finally, attracting deposits before the Spring Festival holiday is a focus for commercial banks to accumulate funds for development in the next year, he said. "Weaker business conditions of industrial companies also led to slower growth in bank deposits," he said. "As of the end of September, it took 9.6 more days year-on-year for industrial companies to recover accounts receivable. 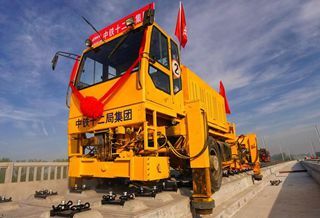 In the first three quarters, the loss of industrial enterprises with the annual prime operating revenue of at least 20 million yuan increased by 5.8 percent year-on-year. All these factors have affected the accumulation of deposits." The growth of investment in online asset management products and peer-to-peer lending products, which refers to the practice of lending money to individuals or businesses through online services that match lenders with borrowers, also caused a decrease in bank deposits. But the growth has slowed down, thanks to a campaign launched by the China Banking and Insurance Regulatory Commission this year to rectify the market chaos in the banking industry by making these products standardized, he said.